If you’re thinking of getting the 2017 Land Rover Discovery Sport, you might be wondering what kind of advanced technology is used to keep you connected, aware, and safe. 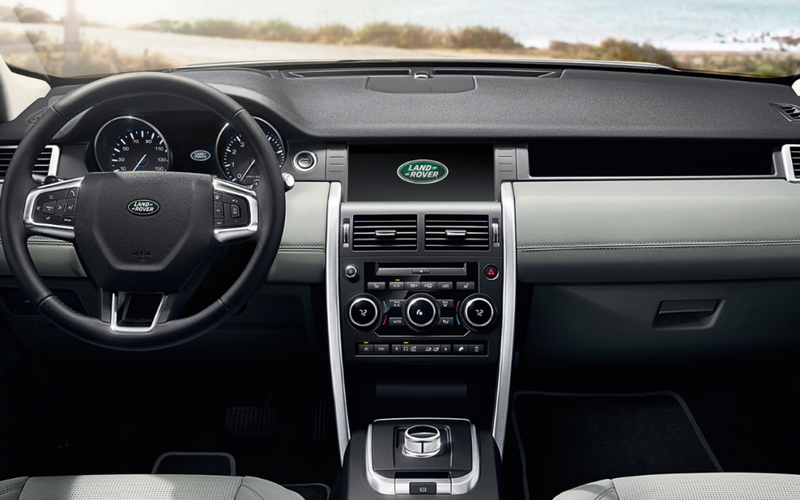 Learn about the technology featured in this rugged vehicle from Land Rover Annapolis today. The 2017 Land Rover Discovery Sport features the Land Rover InControl system. Sync up your mobile smartphone with this in-vehicle computer to use all the apps you love on the go! Play your favorite music or listen to Internet streaming media over the eight-device Wi-fi hotspot, use in-vehicle navigation with real-time GPS information to get turn-by-turn directions, receive information about traffic and weather around Baltimore, and even use natural voice commands to place calls from your contact book with hands-free Bluetooth technology. Of course, the InControl system wouldn’t be complete without a Meridian Digital Surround Sound system with 16 speakers and a dual channel subwoofer for rich sound. Don’t forget to get InControl Remote and Protect. This smartphone app lets you check your vehicle’s vital statistics from your phone, find your Land Rover Discovery Sport in parking lots around Washington DC, and even cool or pre-heat the interior by remotely starting the engine. The 2017 Land Rover Discovery Sport is stocked with technology that keeps you comfortable and makes your ride around Arnold convenient. Cooled and heated front seats keep everyone cozy or cool, while the premium climate control system uses an air sensor to monitor smog levels, humidity, and more. The driver heads-up display uses a laser to project crucial information about your vehicle onto the windshield, using holographic technology to stay bright even in direct sunlight without obstructing your view of the road. Check your speed, navigation instructions, gear position, and more without ever having to take your eyes off the road. The 2017 Land Rover Discovery Sport includes a full suite of the latest driver awareness and safety technology to keep you on track and engaged. Lane keep assist uses sensors to determine your position on the road, and alerts you while steering your vehicle back into the correct lane if it senses that you’re drifting without having signaled. The Driver Condition Monitor analyses your driving input, determining whether you’re fatigued or drowsy and encouraging you to take a break to driver safer. Autonomous emergency braking uses a front camera to watch for potential collisions, warning you and applying the brake if needed to prevent a collision. The Blind Spot Monitor and Closing Vehicle Sensing System uses radar to let you know when there’s a vehicle in your blind spot or coming up close behind you. Park assist helps you get in or out of tight spaces, steering you as you work the brake and accelerator. Finally, the surround camera system provides a view all around your vehicle so you can keep track of everything going on around you.